The state suspends the South Salt Lake mortuary’s license. 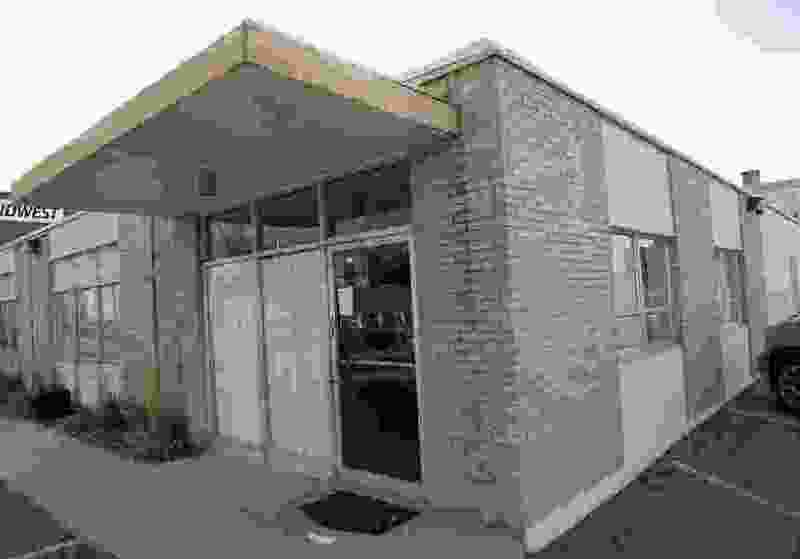 (Al Hartmann | The Salt Lake Tribune) Carver Mortuary Service LLC, housed at this building at 847 W. 2500 S. in S. Salt Lake had its license suspended by the Utah Division of Occupational and Professional Licensing . Utah has suspended the license of a South Salt Lake mortuary amid misconduct allegations that include mixing ashes, leaving bodies unrefrigerated and stealing jewelry from the deceased. Thursday evening’s order by the Division of Occupational and Professional Licensing (DOPL) immediately suspended the licenses of Carver Mortuary Service LLC, as well as its directors, Tanner Carver and Shane Westmoreland. The emergency decision was finalized after more than eight hours of closed-door deliberations and interviewing witnesses and investigators in Salt Lake City. The mortuary has contracts for cremation services with Intermountain Medical Center, Utah’s Office of the Medical Examiner, Salt Lake County, and other funeral homes. Those organizations must immediately find another funeral company to “take custody and control of all human bodies and cremains,” the order says. Reached by phone Thursday night, Carver called the allegations “completely unfounded.” He declined to elaborate. Westmoreland did not answer calls to two numbers listed for him. A four-member emergency committee heard many of the same allegations from two former Carver employees Thursday, according to the order. They mentioned that “numerous” employees of the company were unlicensed — including the two witnesses, Robert Price and Erin Christensen. Despite having no license, Price said he was instructed to perform about 50 cremations and, once, to sew up a body after an autopsy. Price and Christensen said the mortuary kept a cremation log to track identities and where the bodies had come from. But it was “frequently incomplete” and sometimes altered. “Deceased persons were cremated without identification or without records documenting the identity of the deceased or paperwork necessary to determine whether the cremation had been authorized,” Price said, according to the order. “Often, one body would be removed from an embalming table and another body placed on the table with not cleaning in between,” Price told the committee. It was common practice at the mortuary to take gold and other precious metals from human remains, and they were later sold, the witnesses said. Christensen told the committee it was common to “keep jewelry, watches, rings and other personal property, and not deliver those items to the decedents’ family.” Christensen also said he saw other employees wearing the items. DOPL investigators obtained logs and found problems with tracking bodies and times of cremation, according to the documents. “There was no notation or explanation contained in the files for these discrepancies,” the order said. DOPL officials and representatives from the Utah attorney general’s office declined to comment outside the hearing Thursday. It was not immediately clear how the allegations came to the attention of state investigators. Carver Mortuary and its directors were served with the order Thursday night. They now have the opportunity to schedule a hearing within 20 days to contest the state’s decision. The company was licensed with the state as a funeral home in 2008. Thursday’s suspension comes several days after an Associated Press investigation found that a number of funeral homes across the country have faced similar investigations in recent years.